Ray Ciccolo, president of Village Automotive Group. Ciccolo was only 24, but he already owned two coin-operated launderettes when he walked into the Gene Brown Rambler/Volvo dealership in Newton Centre looking to buy a “little, fuel efficient” Volkswagen to replace an old Buick he had rebuilt from junkyard parts. Instead, he listened to a friend working at the dealership. Ciccolo left with a gas-guzzling Lincoln Continental — it got just three miles to the gallon — and plans to purchase the business. Ciccolo's first job was at the Ritz-Carlton hotel, where he helped compact wastepaper and break bottles to save room in the dumpster. (This was back before recycling was en vogue.) He credits the experience with spurring him to attend Suffolk University, where he studied business administration. Ciccolo and his family try to test all the models sold at his dealerships, which carry import brands such Porsche, Hyundai, and Honda, as well as Volvo. He is currently driving a Volvo S80, but will trade it for another demo after 3,000 miles or so. He says switching cars constantly isn’t as glamorous as some people might think. For many years, the Northeast was what Ciccolo calls “the last bastion of resistance” against leasing, but that’s changing. Take Ciccolo’s Honda dealership, where 50 percent of the new cars are now leased. Ciccolo thinks the shift will forever alter the used car market, as leased cars get returned to dealers and sold to second owners. Ballroom dancing and acting in community theater are somewhat secret passions of Ciccolo’s. He also sings in group, the Boston Minstrel Co., that performs at shelters, hospitals, senior centers, and corrections facilities. 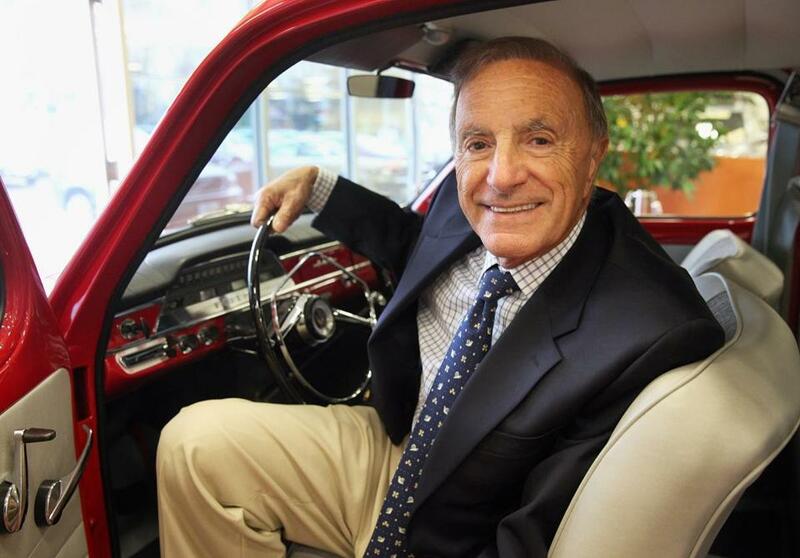 That friend, Hal Rosen, who persuaded Ciccolo to buy an auto dealership some 50 years ago, stayed with company until his death in 2010 at age 89. Bonus: Monday — Jan. 20 — is Ciccolo’s 76th birthday. If you see him, wish him a happy one.